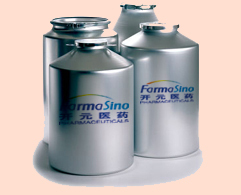 ■ One of the leading suppliers of Pharmaceutical and Nutraceutical products in China for many years. Close relationships and partnerships with hundreds of qualified manufacturers in domestic market. ■ Establishing a strategic alliance　relationship with　core clients　of over 60 countries　in the world. All products are　manufactured in facilities with GMP approval　under strictly quality control system. ■ Found a professional registration　team and project　managemen t, supporting the development of pharmaceutical industry. ■ Including APIs, veterinary products, vitamins, amino acids, plant extract, food additives and cosmetic ingredients.